King lives as an outcast because of a rumor that he is the son of the notorious outlaw. To check the rumor's validity, King joins the Dalton gang, thinking that his father is still alive. 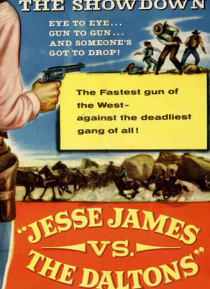 After a shootout the Daltons are history, but King survives to learn that he is not Jesse James' son.